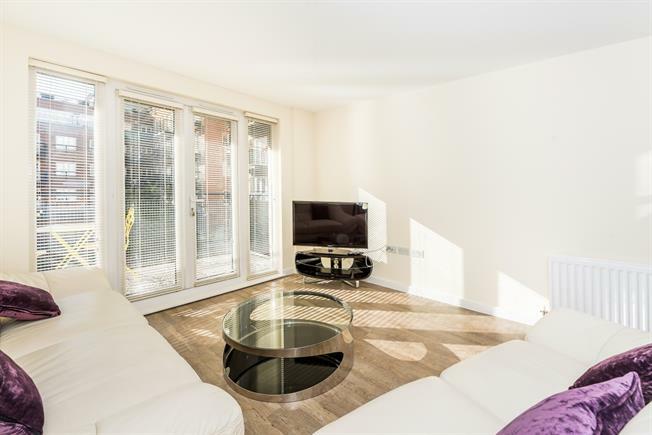 2 Bedroom Apartment To Rent in Kingston upon Thames for £1,695 per Calendar Month. Stylish two bedroom apartment situated on the first floor of a centrally located development in Kingston. This beautiful property boasts a superb reception room with wood floors and doors opening out onto a small balcony, a modern open plan kitchen with integrated appliances, two double bedrooms, one of which has an en-suite shower room and a further bathroom. The property is located a short distance from Kingston town centre and the station and further benefits from underground parking.